I'm praying everyone is safe from Irma (and Harvey). The last time I posted I was confident Harvey was going to stall out and head north, but I was wrong. Harvey went back into the gulf and came right back at us. Thankfully we had no water in our home, but a lot of our friends and family weren't so lucky. There's so much devastation here; it will be a while before things feel normal again. I don't have any posts to share or shows/movies to discuss, but I did manage to read some amazing books. 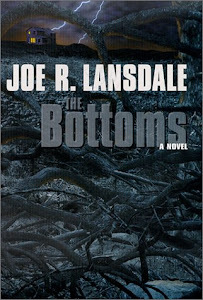 The Bottoms by Joe R. Lansdale - I am so glad I grabbed this book from the library before the storm. It was exactly the book I needed when I needed it. 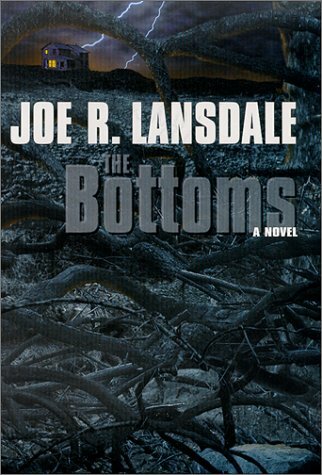 If you've never read Lansdale, The Bottoms is the perfect place to start. It by Stephen King - My goal was to finish rereading It before the movie came out. I'm absolutely thrilled to have read it again even if it will be awhile before I get to see it. I remember why I love this book so much. 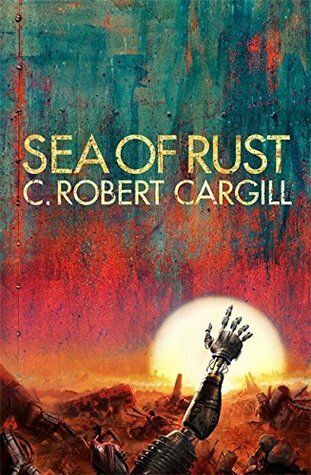 Sea of Rust by C. Robert Cargill - This was probably my most anticipated book of the year. I'm happy to say I wasn't disappointed. I will try to get a real review out later this week. I think all three of these were excellent choices to read during the hurricane. I'm very glad that you did not get water in your house. I hope everything around us gets back to normal soon. I do, too, Deb. "This too shall pass." I debate getting Sea of Rust on audio. Do you think it would work well? Glad you didn't get water in your house. Between Harvey and now Irma the devastation must be just unreal. The Bottoms looks really interesting. Off to check it out. The whole thing has just really been unreal. :( Do have a look at The Bottoms when you get a chance. I'm not sure if I'll write up a review or not. I definitely didn't have reviewing on my mind when I read it, but you never know. Glad to hear you guys are safe, and my thoughts to all those affected by the hurricane. I'm glad you got some great reads in though, I've been very curious about Sea of Rust! Thanks, Mogsy. Sea of Rust was definitely different from anything I've read since all of the characters were robots. 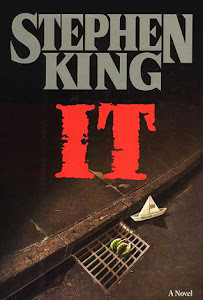 I need to read Stephen King's It someday! I highly recommend it. I won't lie - it's a big undertaking, but it's so worth it. So glad to hear from you - I was worried for a while. Glad things weren't as bad for you as they could have been. I haven't read Lansdale so maybe I'll look into this one. 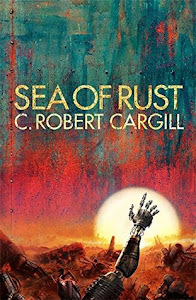 I've been considering buying Sea of Rust so if you think it was good, that pretty much seals the deal and I will try to grab it for my Kindle. Thanks, Barb. The worst we got at my house was just getting trapped by the floodwaters for quite a few days. My nerves are a bit shot, but we are all safe. Sea of Rust had some chilling moments that I enjoyed, and it was a unique perspective. This has certainly been a weird year for weather. I'm grateful that I live in Minnesota where all we usually get is an occasional blizzard. Come see my week here. Happy reading! I'm not really a fan of what's been going on with the weather. I normally like warm winters, but I'm over the hurricanes. I'm glad you were spared from the worst and hope life gets back to normal relatively soon. I've had The Bottoms in my tbr pile for too long. I'm not even sure what bin it's in at this point but will get it read one of these days! I'm glad you're not wading in water. I wish Mother Nature would take a break. I'm glad you enjoyed your reread of It. It was my first time through and while I'm not sure I'd commit to reading it again I loved it. I've been wanting to reread it for a while, but I couldn't make myself commit to it. The first time I read it I was right out of college, and it didn't bother me when books took forever. I actually had a preference for chunky books back then. I'm glad the "It Parade" read was going on to kind of force me into it. I'm so glad you got to read it and loved it! I'm glad you are safe. These hurricanes are unbelievable. My family made it through Hurricane Irma okay. I do hope you have a good week. I'm so glad they are OK, Yvonne. It has been a scary time! A reread of IT is on my list of things to do, but my goodness it's a large book to tackle! I just haven't had the time to commit to it just yet. So good job you for getting through it before the movie! Yeess. It really does help to already know you love it, but my gosh is it still a commitment. Glad to hear you finished your reread of IT before the movie came out. Hope you enjoy the movie. Everyone I know that has gone to see it has loved it! Thanks to the hurricane I don't have a theater I can watch it in yet, but hopefully I will soon! It sounds like they did a great job with it. Glad to hear that you made it through the hurricane safe and sound. I am also glad you were able to get a good book before it arrived! I love It; I remember it scaring the crap out of me when I was in high school! So good. Thanks, Erin! I read It right after college, and I've always been such a huge fan of coming of age stories that that's the part that really stuck with me the first time. I'm realizing now just how scary It really is. I think I got to focus more on that aspect this time around. It is my favourite ever book and I so much want to do a reread but first I need to tackle the overflowing tbr! Right? It's getting harder and harder to commit to rereads and the really chunky books in general. So glad to see you loved Sea of Rust - I can't wait to get to that one. Hahaha. I can totally see how that could happen. My reading has been terrible the past couple of weeks so I still haven't read Sea of Rust. I'm hoping to start it tomorrow. I'm not in a slump I simply haven't had time with everything else that's going on. I look forward to your review. I hope you enjoy it! I had really hoped to get out a review for Sea of Rust this week, but it just didn't happen. Maybe next week! I hope you enjoy it. I am so sorry to hear the hurricane hit you. I am glad to hear you didn't get any water in your house, but seeing the devastation around you must be hard too. That's nice you got some good books read. Thank you so much, Lola. It has been hard on everyone. There's probably not a person here who didn't at least have a close friend or family member get flooded. The community has really come together, though, and everyone is just being so kind to everyone in general right now. There's a large understanding that no one was untouched by the storm.